For as long as you live, you’ll never forget it: The Time. The time you stepped out of the darkened runway and into the divine sunshine of Yankee Stadium. The brilliant green grass. 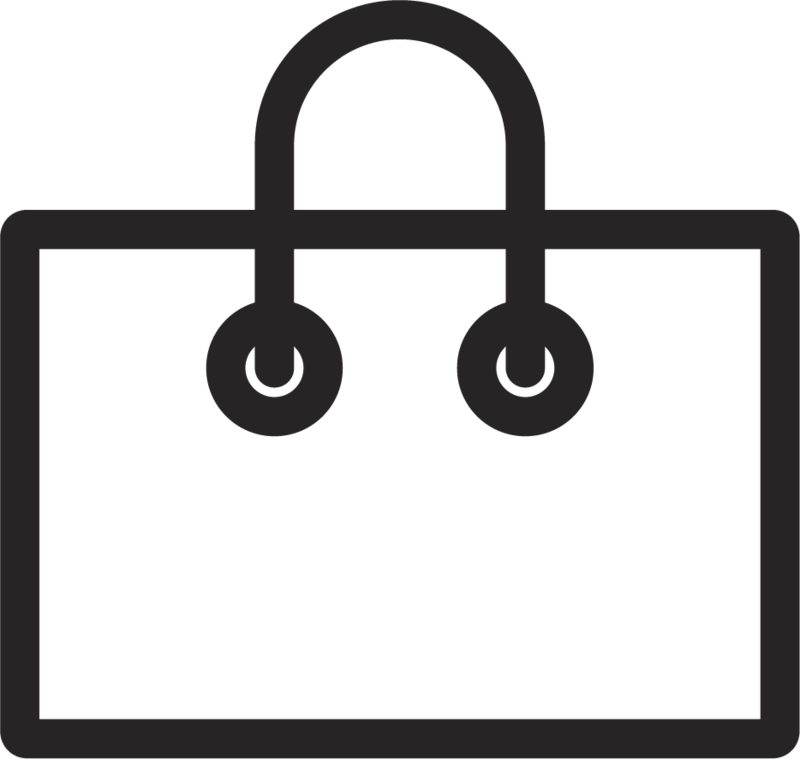 The iconic facade. The monuments that echoed with glories of games gone by. Chills. The original “House That Ruth Built” may be gone, but that time lives on inside of you. 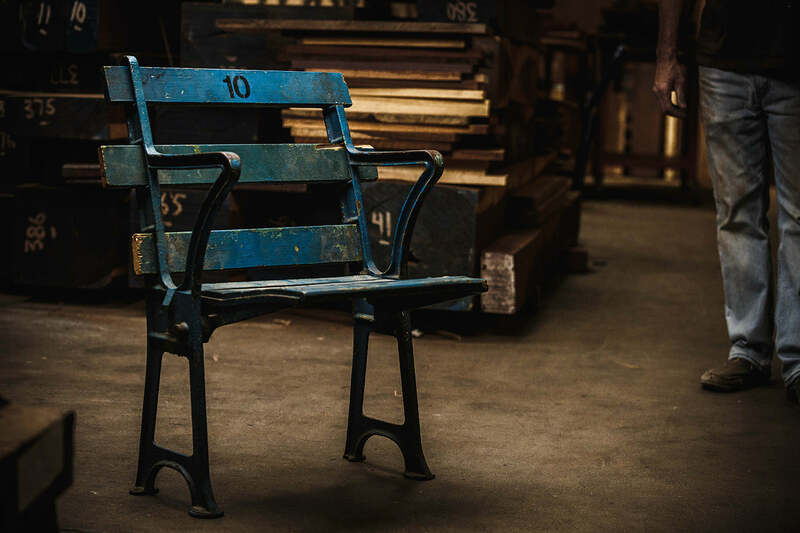 Now, that moment has been preserved and transformed into a stunningly unique Timepiece of History, built with Authentic Reclaimed 1923 New York Yankee Stadium Wooden Seats. This is not just a timepiece. 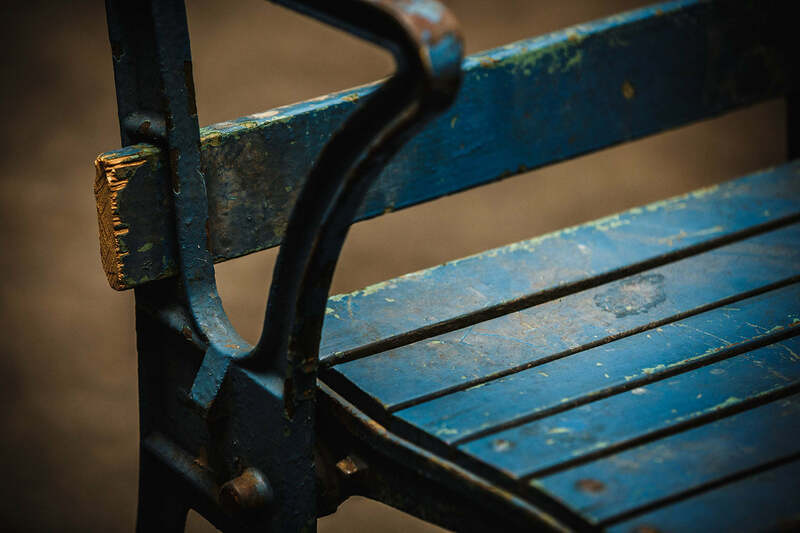 It is a piece of time. No two watches are the same as we’ve kept the original paint, patina, and color variations from each piece of the history-rich wood. 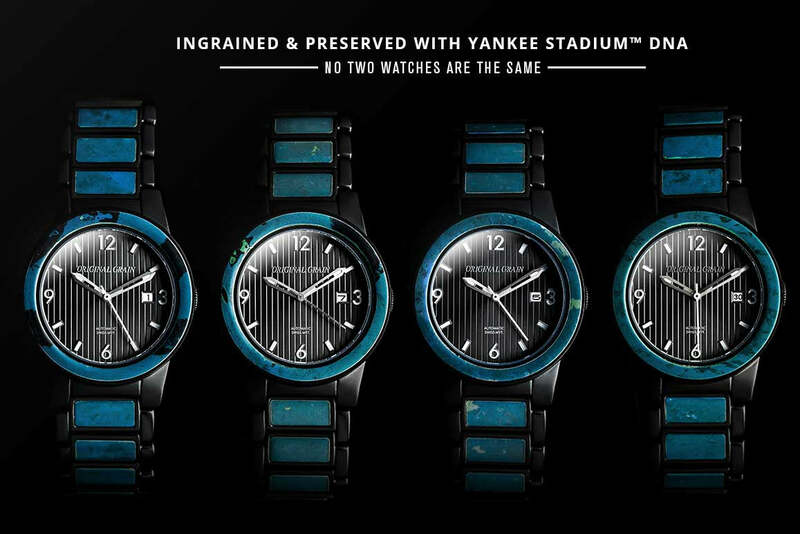 Each timepiece has been made with Authentic Reclaimed 1923 Yankee Stadium™ Wooden Seats (View Certificate of Authenticity). 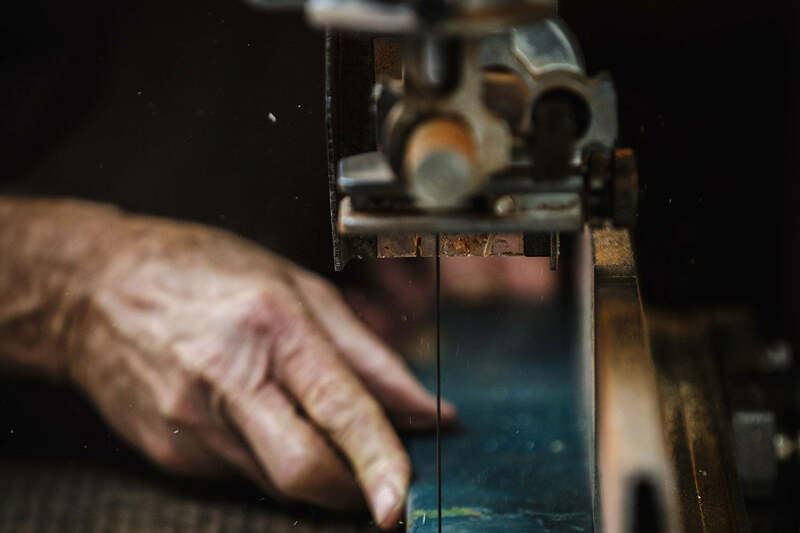 Preserving its true character meant combining age-old woodworking techniques with state-of-the-art machinery. 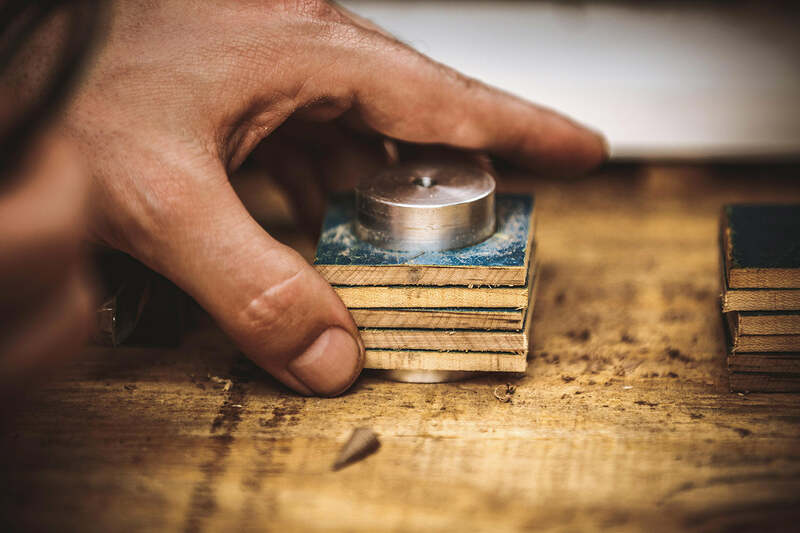 Like a Mariano cutter, each piece has been carved with Cooperstown-worthy precision. FOR FANS. FOR FAMILY. FOREVER. It’s one of life’s great moments--taking your son to his first Yankee game to bathe in the timeless beauty of baseball. 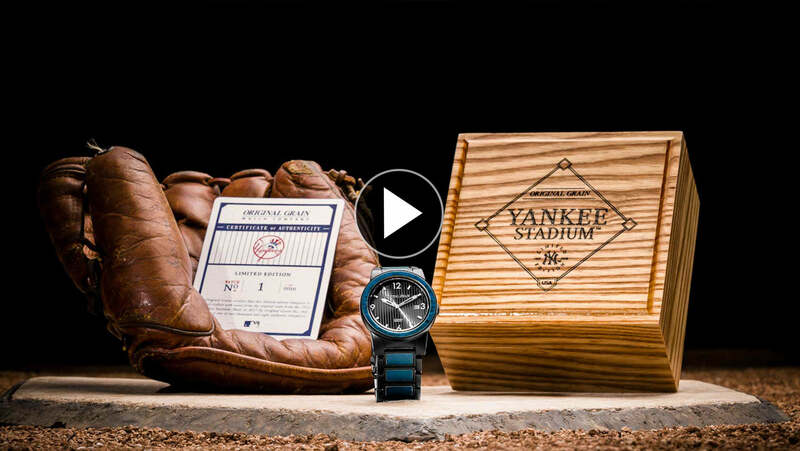 As Father Time marches on, the 1923 Yankee StadiumTM Limited Edition Watch will preserve that precious bond, making this the ultimate heirloom piece for any devoted fan in your family. 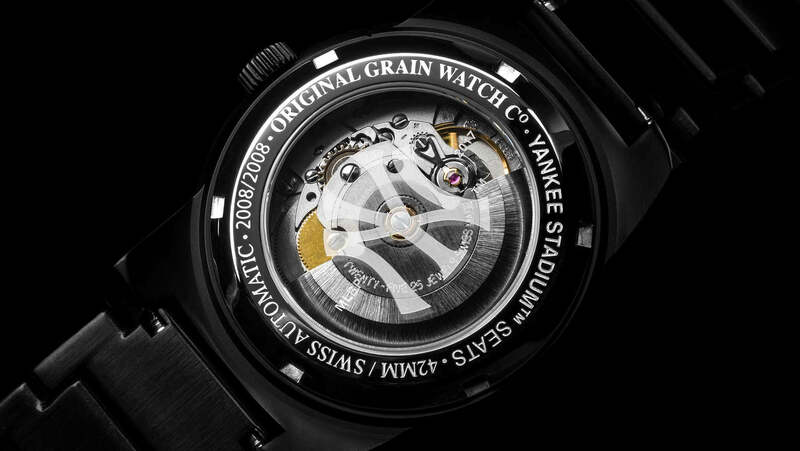 Since the final out was recorded at the original Yankee Stadium in 2008, Original Grain has created just 2,008 of these unique timepieces. 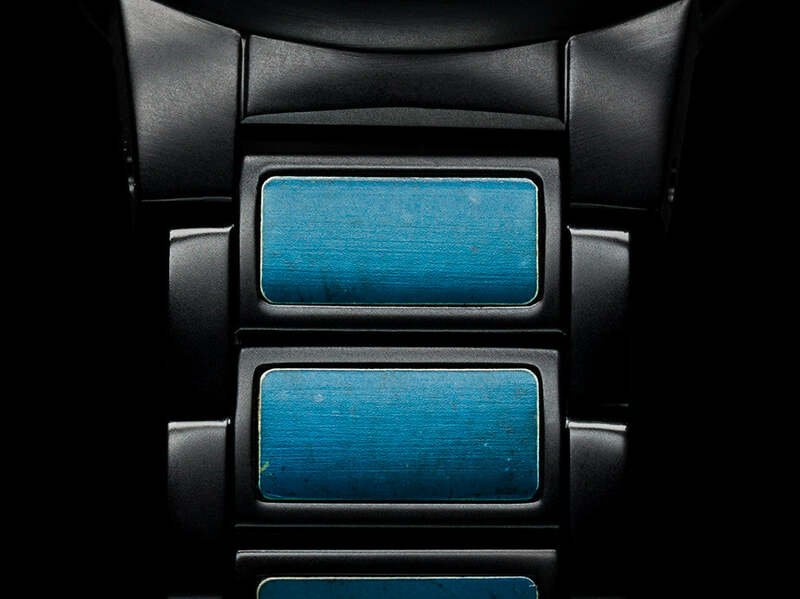 On a timepiece this special, using anything other than premium mechanics would be a cardinal sin. 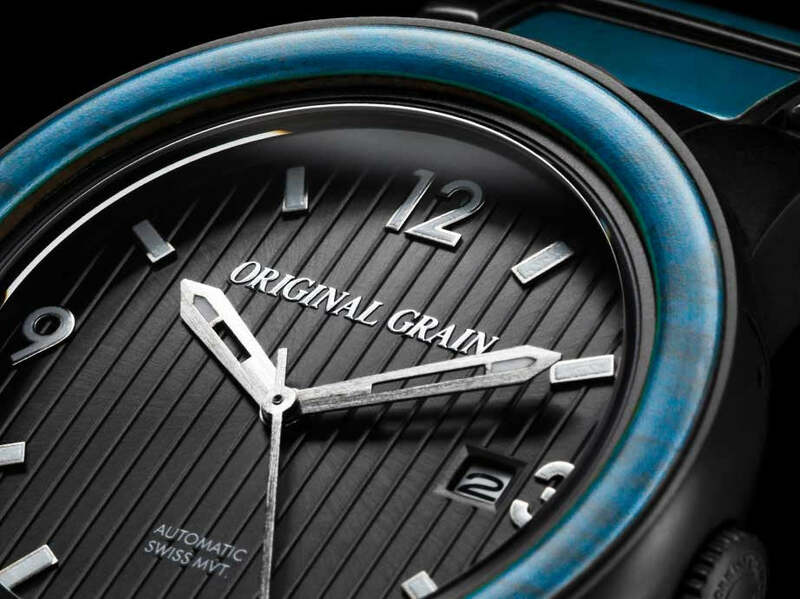 That’s why each watch features Swiss ETA 2824 Automatic Movement and a self-winding mechanism with 25 jewels. The sapphire crystal glass and stainless steel case guarantee elegant durability, but it’s the custom engraved dial with the Yankees’ trademark pinstripe design that scores the winning run. As a Yankee fan, you’re uniquely accustomed to excellence. Maybe it’s all the world championships. Perhaps it’s the murderer’s row of legends you’ve been blessed to witness. Or maybe it’s because your team plays in the greatest city on Earth. No matter how you slice it, winning is baked into your DNA. 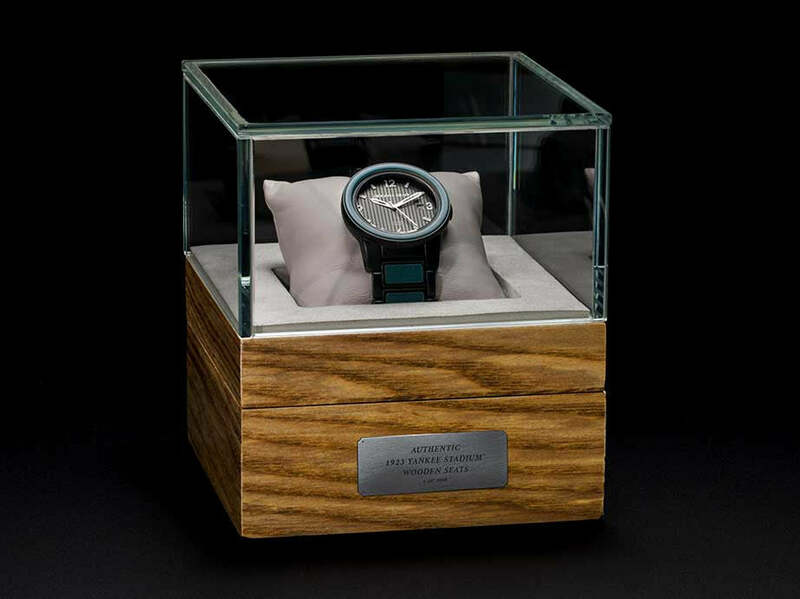 You expect greatness from your baseball team and you deserve it in a timepiece as well. There’s never been a place quite like Yankee Stadium™. From Monument Park to the short porch in right, it was the “Cathedral of Baseball,” playing host to 161 postseason games, an MLB record. The numbers are gloriously gaudy: 44 players and 11 managers in the Hall of Fame. 18 division titles. 40 pennants. And the gold standard: 27 World Series Titles. 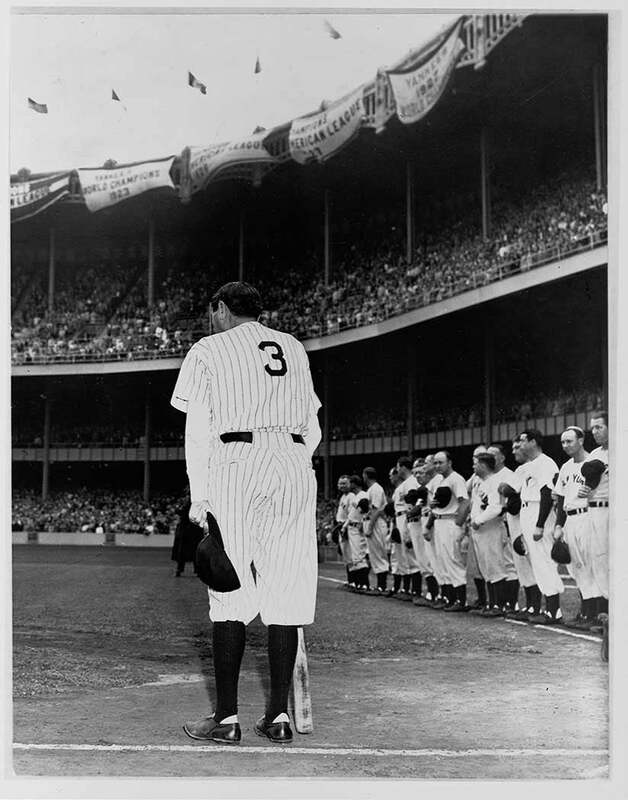 From Babe Ruth to the Baby Bombers of today, the Yankees haven’t set the bar high, they own the bar.